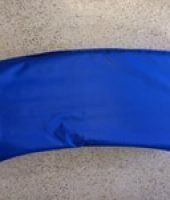 Top quality In-ground trampoline systems are designed to be installed at ground level. 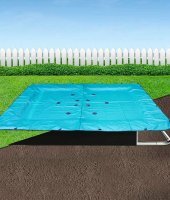 Simply dig a hole in your desired location and place the assembled trampoline into the pit. Back fill the dirt up to the edge of the frame and you're done. It's that easy! The result is the safest, easiest and most aesthetically pleasing trampoline on the market. 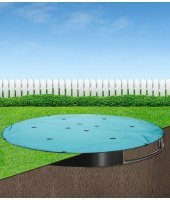 Choose between several of the top brands of in-ground trampolines. Capital Play and In-Ground Trampolines.